Here's to the New Year! The Year of the FARMILY. The dairy industry has been struggling for the past two years as a whole. I'm not a usually a pessimist, but I don't for see it changing for the better. That's why all the letters and cards we have gotten from the dairy industry are about preventing farmer suicides and "you are not your business" bullsh!t. Yes, I know that I'm valuable to many and I'm not my business. I have family and friends. The best thing is I have a FARMILY. Let me explain. My definition of FARMILY: Individuals that care enough to buy locally from a real farmer to fulfill their story. They aren't just customers. They are people that have reasons or stories of why, they have come to us. We are blessed enough to be part of their story. I can't tell you how touched I am when I get to hear their story. I would love to share some of the many stories I hear. I can't do that without my Farmilies permission. So my request to you this New Year is share your story with us. We would love to share with everyone else. You never know when a simple story can change someone else life. Words are powerful. 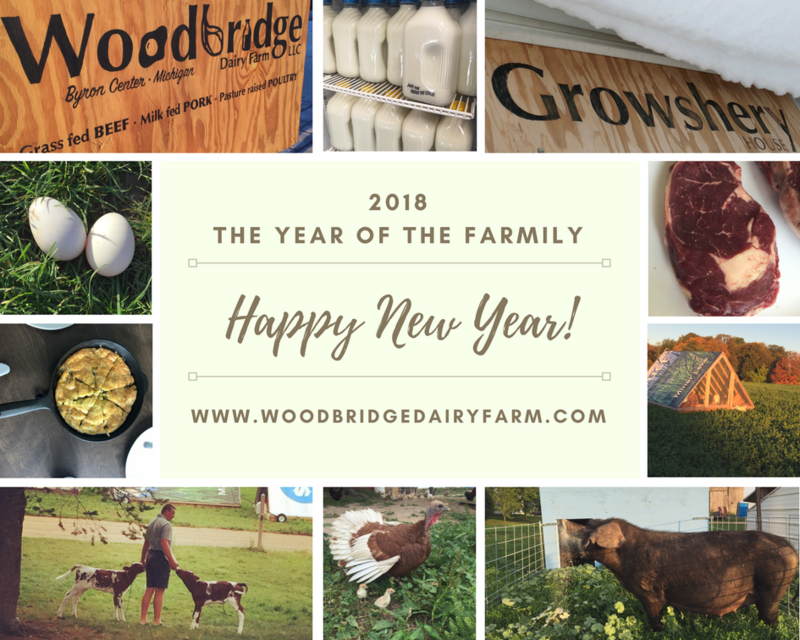 Here's to 2018 being the year of the Farmily.